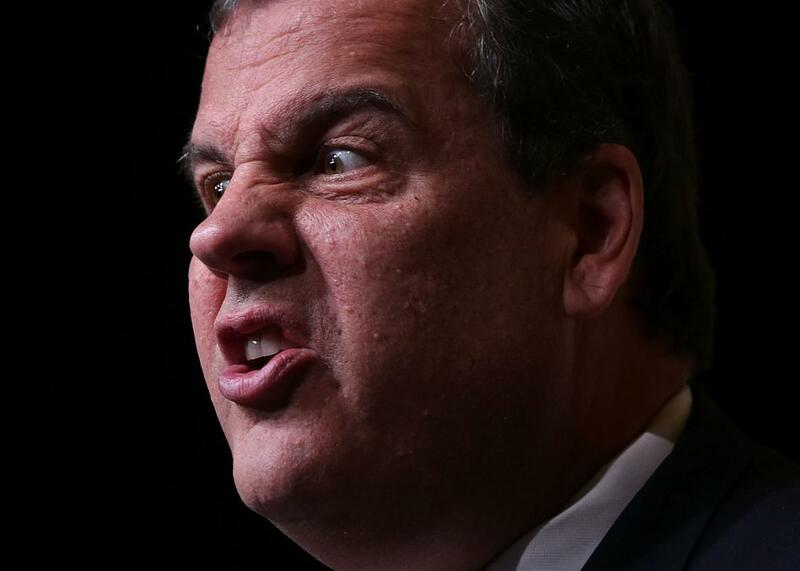 Chris Christie teachers union: New Jersey governor wants to punch unions in face. Chris Christie Said He Wants to Punch a Teachers Union in the Face. Get Ready for a Lot of That. Chris Christie has fighting words for teachers unions. Without hesitation Christie replies, “Oh, the national teachers union, who’s already endorsed Hillary Clinton 16, 17 months before the election,” a reference to the American Federation of Teachers’ controversial announcement last month. “They’re not for education for our children,” Christie said. “They’re for greater membership, greater benefits, greater pay for their members. And they are the single most destructive force in public education in America. I’ve been saying that since 2009, and I’ve got the scars to show it.” The unions spent $3 million trying to defeat Christie in his first campaign, and he has been fighting with them about budget cuts, pay freezes, and the basic value of the teaching profession ever since. Responses from the unions were predictably outraged. Randi Weingarten, the head of the AFT, tweeted: “This is just disgusting. The culture of violence and hate aimed at educators is just out of control.” And from Lily Eskelsen García, the president of the National Education Association: “Children learn from educators not to be bullies. Bully @chrischristie says he wants to punch educators in the face.” And Wendell Steinhauer, the president of New Jersey’s largest teachers union, went so far as to call on the governor to resign immediately: “Chris Christie’s instinct is always to threaten, bully and intimidate instead of build consensus and show true leadership,” Steinhauer said in a statement. Christie is polling at 3.4 percent in the Republican fight for the nomination, just above former Texas Gov. Rick Perry, according to Huffington Post/Pollster’s most recent data. Donald Trump is at 21.4 percent.